The Clip-on for The MOSCOT LEMTOSH is available in Gold, Silver, and Matte Black with G-15 plastic lenses for all sizes of The LEMTOSH. Shop here for shade. Model is wearing The CLIPTOSH in size 46 in Matte Black with G-15 Lenses on The LEMTOSH in Black. 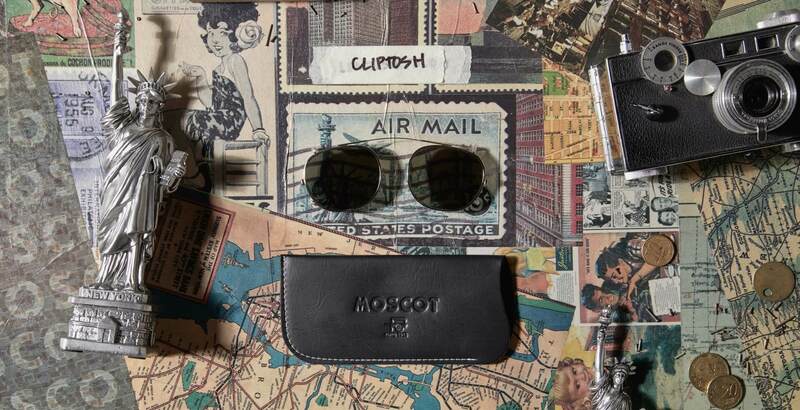 "MOSCOT’s lightweight CLIPTOSH is tailored to fit comfortably and show off the shape of the frame."